Many of NACM’s Affiliates are involved in a national network to provide assistance in the rehabilitation (if possible) or liquidation (if necessary) of businesses in severe financial difficulty. Read more. The collection of information about a potential customer enhances the quality of the credit granting decision. Read more. 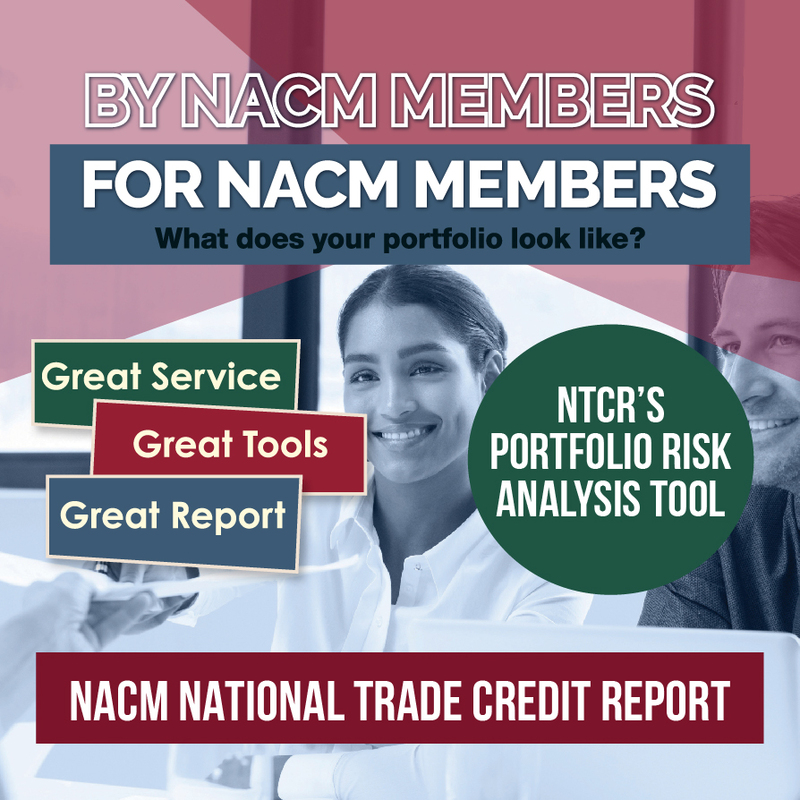 The NACM National Trade Credit Report uses data from the over 7 million tradelines contributed by NACM members of 40 different NACM locations, including over 10,000 NACM Credit Group members. These tradelines are submitted through NACM industry credit groups, full accounts receivable submissions and ratings. Each affiliate is identified in the report, with the tradelines from that affiliate displaying underneath their name. If you sell nationally the NACM National Trade Credit Report is bound to have great data on companies in participating affiliates areas. United Tranzactions makes accepting payments safer, faster and more affordable than ever before! Read more. NACM Affiliated Association Collection Departments collect your past due accounts, large or small, as quickly as possible. Read more. NACM’s Secured Transaction Services brings best-in-class service options to today’s construction credit professional. Creditors today are utilizing multiple credit tools like UCC-1 filings and the mechanic's lien process to reduce risk in order to sell more. Are you effectively utilizing these tools? Learn tips and strategies to put your company in "The Best Possible Position to Get Paid" through NACM's STS. Read more. Credit groups are an effective management tool. They permit credit professionals of different companies servicing the same customer, regardless of industry or trade, to compare information on collection history and provide a forum for the exchange of data as to the most recent payment practices. Read more.